The Wing and a Prayer Pocket Square by Clare Shaw is a beautifully designed silk pocket square perfect for adding an elegant touch to your wardrobe. The Wing and a Prayer Pocket Square by Clare Shaw is a beautifully designed silk pocket square perfect for adding an elegant touch to your wardrobe. 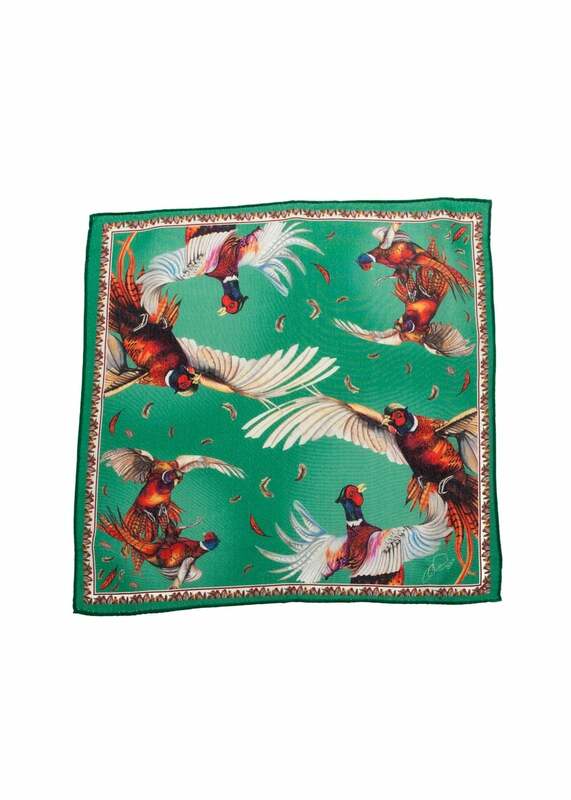 In an eye-catching pheasant print design on a green background, this pocket square oozes sophistication.